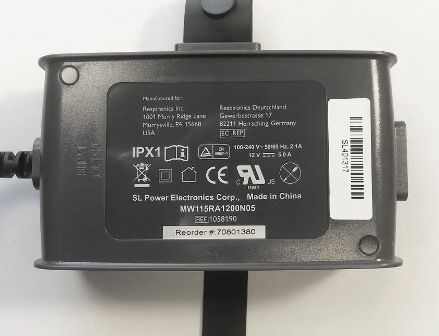 This is the Philips Respironics brand OEM replacement AC power supply for the System One 50 series of CPAP and BiPAP machines. 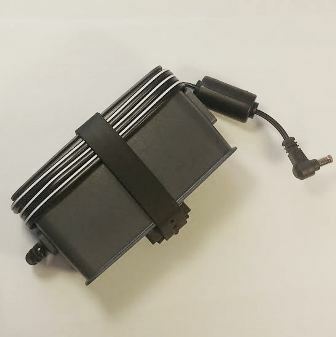 Please note that this power supply fits the earlier version of the PR System One series of CPAP machines that use the smaller barrel connector. If in doubt, refer to the model number on the underside of the machine - it will end in the digits "50" if it is a 50-Series, versus "60" for the newer machines that use the larger connector. If you have a System One 60 series cpap or BiPAP machine, you will need the Philips Respironics 60 Series 60 Watt AC Power Supply or the Philips Respironics 60 Series 80 Watt AC Power Supply instead. Almost 2/3 less than the price at a medical supply co. Fast shipping as well. Works great.